I AM INVINCIBLE (AUS) (Bay 2004-Stud 2010). 5 wins-1 at 2, SAJC DC McKay S., Gr.3. Leading Aust. First Season Sire 2013-14. Sire of 518 rnrs, 383 wnrs, 44 SW, inc. Brazen Beau (VRC Coolmore Stud S., Gr.1), Viddora, I Am a Star, Voodoo Lad, Media Sensation, Oohood, Hellbent, Illustrious Lad, Invincibella, Fiesta, Pure Elation, Invincible Gem, Look to the Stars, The Justice League, Santos, Super One, Most Important, Houtzen, Eckstein, etc. DISCREET, by Show a Heart. 8 wins-1 at 2-to 1350m, A$550,300, BRC Calaway Gal S., L, Makers Mark H., Children's Hospital Appeal H., BNB Fresh H., Madame Wu H., Qld Tatt's RC Hardy Brothers Jewellers H., BRC Carlton Mid H., Qld Tatt's RC Carlton Mid H., 2d BRC Robert Bax & Associates QTIS 2YO P., Qantac Blackwater 2YO H., Qld Tatt's RC Hamilton Hotel 2YO H., Tattersall's Racing Club H., Ipswich TC CFMEU Mining & Energy QTIS 2YO P., 3d Qld Tatt's RC Southbank Insurance Brokers H., SCTC Campaign Group H., BRC Russ Daniells P., 4th Qld Tatt's RC Mercedes-Benz S., L, BRC Juanmo S., L. Dam of one named foal. DISCREET (Show a Heart). 8 wins. See above. Sing Energy. 6 wins at 1400m, 1600m to 2019 in Malaysia. Turret Hill. 2 wins at 1200m, 2000m in NZ and Aust. Scherzinger. Winner at 1000m in Aust. Producer. ZOOMETRIC (Unbridled's Song). 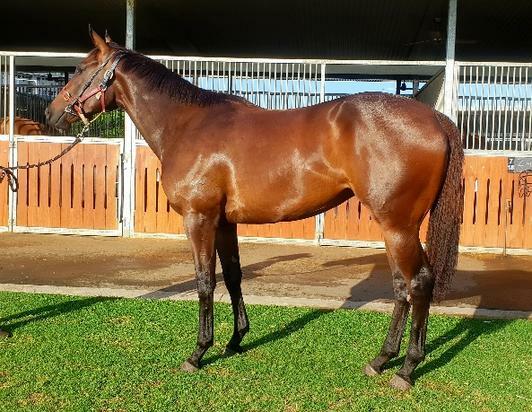 7 wins-2 at 2-from 1100m to 2200m, A$367,200, WATC Perth S., L, Tattersall's Cup, L, Fairetha S., L, Supremacy S., L, Magic Millions Yearling Sale H., Welt Built Australian H., 2d WATC Karrakatta P., Gr.2, Sires' Produce S., Gr.3, JC Roberts S., L, TJ Smith Trophy, L, NJ Way S., L, ATA Quality H., 3d WATC Sir Ernest Lee Steere Classic S., Gr.3, Belgravia S., L, 4th Western Australian Guineas, Gr.2, WATC Ascot Gold Cup, L, York S., L.
Money Man. 3 wins-2 at 2-at 1000m, 1200m, HK$2,691,850, HKJC Youth Services P., Silver Lining H., Yau Oi P., 2d HKJC Juvenile Sprint Trophy, Kwun Tong H., Niigata P., Pottinger Peak P., Education & Training H., 3d HKJC Tung Chung H.
HIJACK HUSSY (Hussonet). 4 wins-1 at 2-at 1200m, 1400m, A$304,650, VRC Lexus Hybrid P., L, BRC Ormiston College 2YO H., GCTC Perimeter Solid Plastering H., VRC Beachside H., 2d GCTC Vo Rogue P., Gr.3, MRC Ladbrokes Odds Boost H., BRC Australian Open Polo Doomben H., 3d BRC Mode P., L, VRC Mrs Mac's Family Bakery Sprint, BRC Secutor Securities 2YO P.
MASKED PARTY (Marscay). 12 wins-1 at 2-to 1300m, A$951,564, AJC Galaxy H., Gr.1, STC Premiere S., Gr.2, SAJC Angas Brut S., Gr.2, AJC Razor Sharp H., L, STC Festival H., L, Satellite S., L, 2d AJC Galaxy H., Gr.1, Expressway S., Gr.2, Endeavour S., Gr.3, STC Missile S., Gr.3, 3d VRC Salinger S., Gr.1, AJC Apollo S., Gr.2, STC Canterbury S., Gr.2, Missile S., Gr.3. FESTAL (Vain). 8 wins-1 at 2-to 1400m, NZ$127,120, A$26,400, WRC Telegraph H., Gr.1, CJC Pegasus S.H., L, Taranaki RC Techron H., Counties RC Monsanto Sprint H., HBJC Juvenile H., Masterton RC Solway Park Members H., 2d Avondale JC Concorde H., Gr.2, CJC Stewards' S.H., Gr.3, Hawke's Bay Guineas, L, BATC Dash, STC Veuve Cilcquot H., 3d HBJC Majestic Horse Floats P., 4th AJC Galaxy H., Gr.1. Sire. INSPIRATION (Flying Spur). 9 wins-1 at 2-at 1000m, 1200m, HK$15,475,650, Cathay Pacific Hong Kong Sprint, Gr.1, HKJC Centenary Sprint Cup, L, Premier Bowl H., L, Big Wave Bay H., East Point H., Niigata P., Tung Chung H., Hebei H., Chung on H., 2d HKJC Po Leung Kuk Centenary Cup, London H., 4th HKJC Sprint Cup, L.
WANDJINA (Snitzel). 3 wins-1 at 2-from 1000m to 1600m, £7,088, A$638,800, VRC Australian Guineas, Gr.1, CS Hayes S., Gr.3, ATC Australian Turf Club H., 2d ATC All Aged S., Gr.1, 3d MRC Caulfield Guineas, Gr.1, 4th ATC Todman S., Gr.2, San Domenico S., Gr.3, MRC Caulfield Guineas Prelude, Gr.3, ATC Lonhro P., L. Sire. LUCKY UNICORN (Redoute's Choice). 5 wins-2 at 2-from 1000m to 1600m, A$174,500, HK$1,615,500 in Aust. and HK, VRC Chester Manifold S., L, 3d MRC TS Carlyon Cup, Gr.3. Sire. MY ADMIRATION (Encosta de Lago). 7 wins-1 at 2-from 1200m to 1600m, HK$8,585,800, HKJC Chairman's Trophy, L, 3d HKJC Cathay Pacific Jockey Club Sprint, Gr.2-twice. Sire. BANAADEER (More Than Ready). 2 wins at 2, R346,875, 162,694Dhs, Turffontein Storm Bird S., L, 2d Turffontein South African Nursery, Gr.1. DRACULA (Quest for Fame). Champion 2YO in Australia in 1997-98. 7 wins-5 at 2-from 1100m to 1600m, A$796,300, AJC Champagne S., Gr.1, George Main S., Gr.1, QTC Sires' Produce S., Gr.1, AJC Fernhill H., Gr.3, Newcastle JC Spring S., L, AJC Liverpool Festival H., Matraville 2YO H., 2d AJC Royal Sovereign S., Gr.2, STC Oceanside 2YO H., 3d AJC Hobartville S., Gr.2, NSW Tatt's RC Roman Consul S., Gr.3. Sire. SASH (Dr Grace). 5 wins to 1400m, A$152,068, AJC Toy Show H., L, 2d AJC Sapphire S., L.
THE OSCARS (Procol Harum). 4 wins-1 at 2-at 1000m, 1200m, A$84,200, HK$2,322,315 in Aust. and HK, AJC Canonbury S., L, 2d STC Silver Slipper S., Gr.2. COMPLACENT (Authorized). 5 wins from 1400m to 2000m, A$913,225, ATC Spring Champion S., Gr.1, NSW Tatt's RC Chelmsford S., Gr.2, ATC Gloaming S., Gr.3, Craven P., Gr.3, 2d Victoria Derby, Gr.1, ATC Become an ATC Sponsor 2YO H., 3d ATC Hill S., Gr.2. ATARAXIA (Teofilo). 2 wins at 1350m, 1600m, A$135,105, in 2017-18, ATC Dulcify H., L, 3d ATC Pride of Dubai at Coolmore 2YO H.
SCREEN (Lonhro). 7 wins to 1400m, A$386,503, ATC Golden Pendant, Gr.3, AJC Sydney Carnival on Sale H., Corporate Membership H., 2d Hawkesbury RC Darley Crown, L. Producer. BRANNIGAN (Flying Spur). 4 wins-1 at 2-to 1250m, A$289,160, AJC Brian Crowley S., L, 2d VRC Rory's Jester P., Gr.3. SENTIMENTAL MISS (Reliable Man). 2 wins at 1400m, 2400m, NZ$273,625, in 2018-19, New Zealand Oaks, Gr.1, 2d Waikato RC Sir Tristram Fillies Classic, Gr.2, 3d Levin RC Wellington S., Gr.3, 4th Wanganui JC Castletown S., L.